Attention all City dwellers searching for that perfect lifestyle block! This is it.... Just under 15 glorious acres! All fenced, with 2 paddocks. 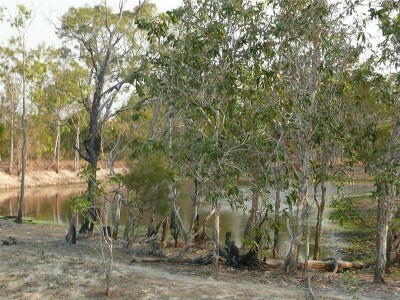 Private, Quiet and boasting a beautiful mountain back drop 4 dams, rainwater tanks and a bore!!! Located only 10 minutes from Mareeba, with a school bus service. Top this off with an immaculate 3 bedroom home that has 2 bathrooms. Beautiful slate floors, and a near new, very modern kitchen. A lovely sitting room that allows natural light to stream in, adding to the feel and comfort.There is also an enclosed slate patio area, and a front verandah, Horses, a few cows, chooks? The perfect block for the sea change. Inspections are invited, phone Debbie 0409 321 920. "The sustainability declaration for this property is available from the Office upon request"